A workplace Huddle is more than just a staff meeting. 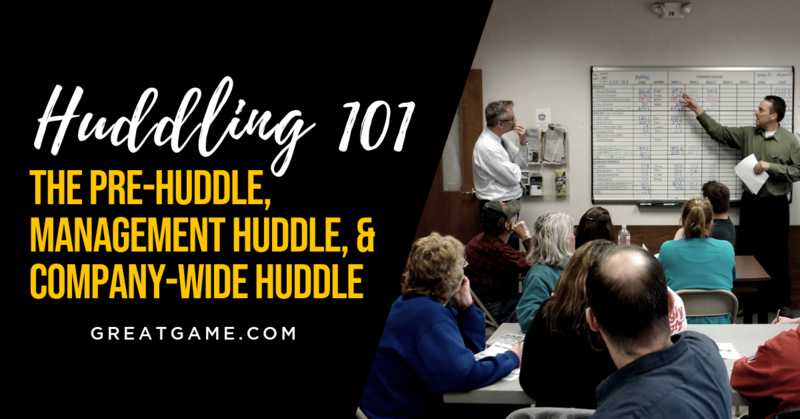 Discussing the financials and critical elements of your business is a vital part of the Great Game of Business®, but more importantly, the Huddle is an opportunity to focus on the people responsible for those numbers and the story behind the numbers. In the Huddle Cycle, numbers are forecast and shared in a series of meetings from daily departmental check-ins to weekly company-wide gatherings, driving employee engagement and serving as a self-correcting measure to keep the company on the path toward achieving its goals. To better understand what’s involved in creating a Huddle rhythm, let’s break down the three main types of workplace Huddles: the Pre-Huddle, the Management Huddle, and Company-Wide Huddle.